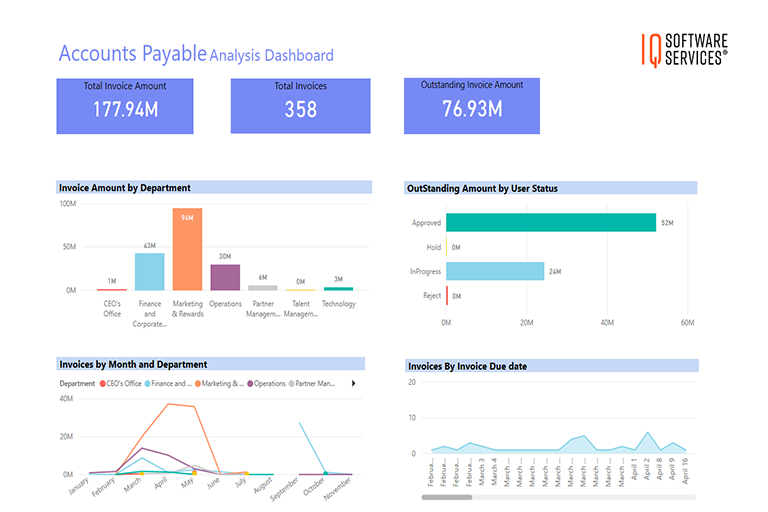 Accounts Payable Analysis dashboard provides insights that help organizations to streamline workflow automation and strategies for efficient invoice processing and accounts payable process. It helps the personnel to evaluate the accounting and outflow of cash in the organization, also come up with strategies to improve effectiveness and efficiency of processing. At the same time it aids in maintaining the strict control over cash disbursements. 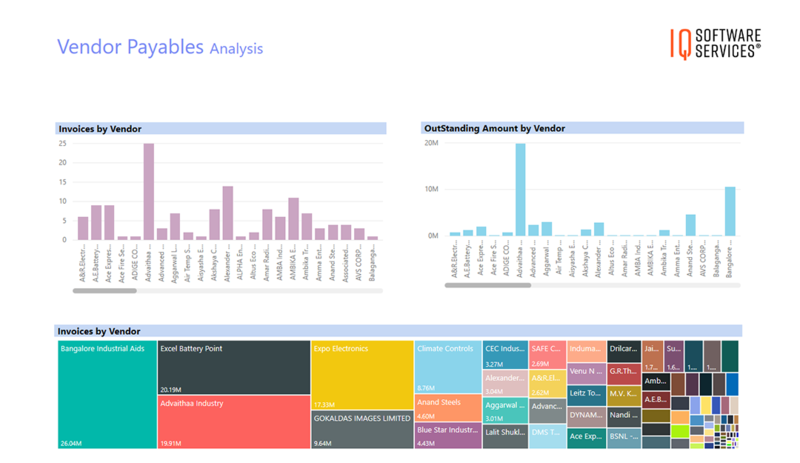 The dashboard provides trends of projected cash flow by departments and indicate the number of times an organization pays off its vendors during an accounting period. A strong liquidity position is important for every company and maintaining tight control over Accounts Payable is always critical for enterprises. Account Payable dashboard provides insights helping companies to streamline workflow automation and strategies for efficient invoice processing and accounts payable process. It helps the personnel to evaluate the accounting and outflow of cash in the company, also come up with strategies to improve effectiveness and efficiency of processing. At the same time it aids in maintaining the strict control over cash disbursements. 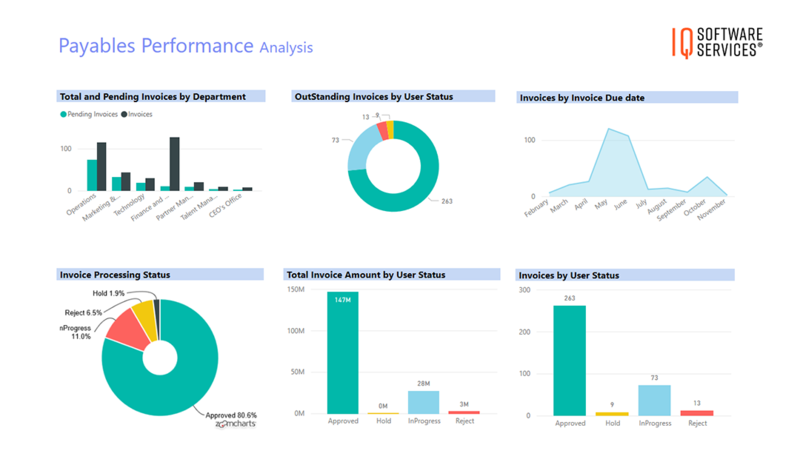 The dashboard highlights invoice processing metrics to monitor the operations, it also provides an overview of the ticket trends, SLA violations, the ticket relevance and other information. Please see more information below about the reports that provide insights about the service desk and quality. 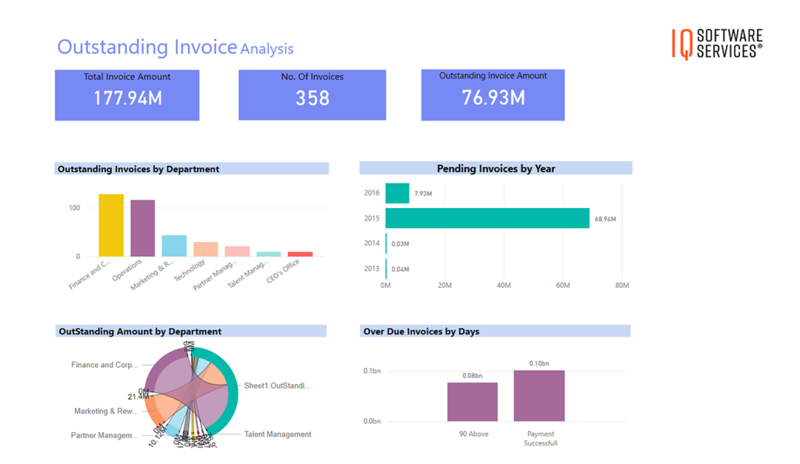 This dashboard has been developed integrating with the ERP system and Tally to fetch invoice information from different vendors and accounts. Provides overview of tickets created via different channels, the report based on the priority, category, sub-category is available for the users to analyze the trend. It helps to efficiently control current liabilities and calibrate cash management, quantum of payments overdue. The report helps in streamlining the efficiency of invoice processing there by improving productivity of AP resources. 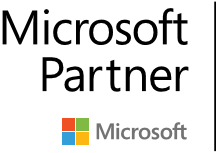 Identify and remove inefficiencies in the AP workflow process based on the average number of invoices paid per vendor.